Materialistic pleasures are so treasured in today’s world that very few people stop to think about other virtues in life. When it comes to living, some people live comfortably, others live extravagantly. 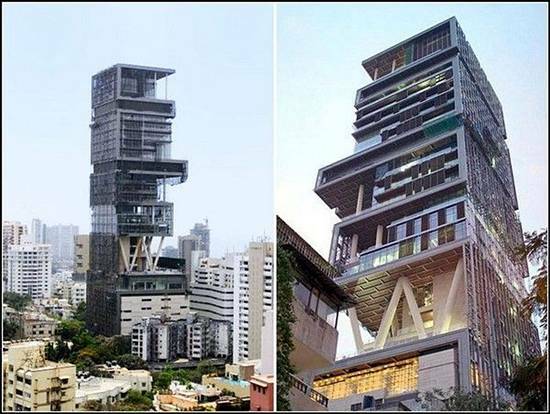 The most expensive house in the world is in India, owned by Mukesh Ambani. 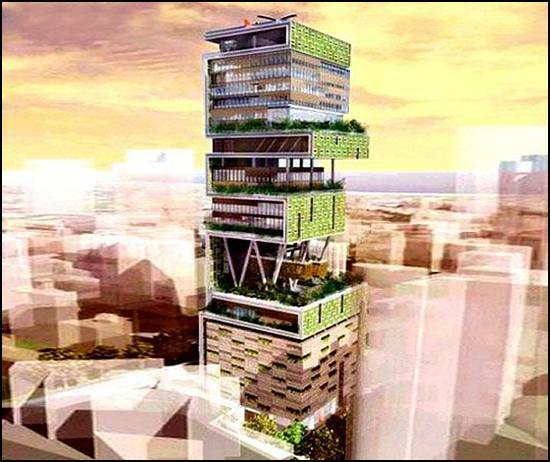 It is worth a whopping 1 billion dollars and has 27 floors. The house has a plush health club and a garage that can hold over 150 cars. Why? Just because this business tycoon has a personal collection of 168 cars. 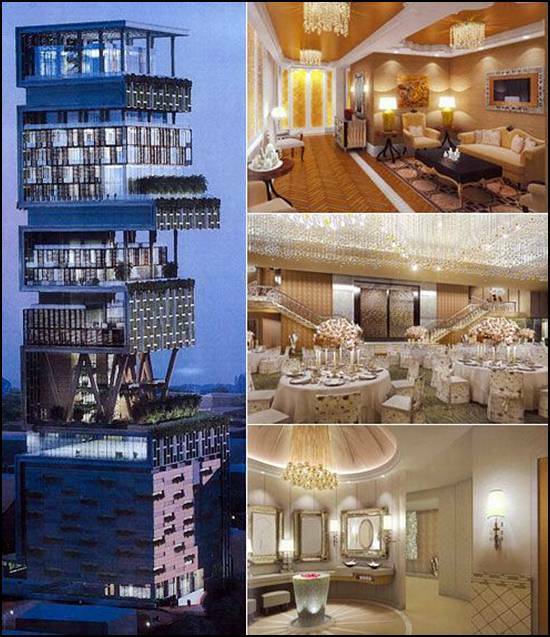 The house is made entirely of glass and is 570 feet tall.